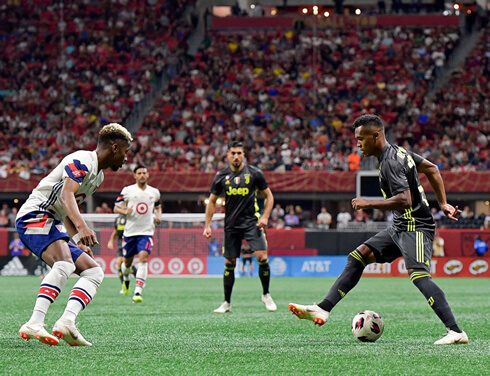 In the third game of their US pre-season tour, Juventus clashed against an MLS All Stars team in Atlanta. The Vecchia Signora couldn't go beyond a 1-1 draw in regular time, but once again showed more composure than their opponents when the game went to a penalty shootout. 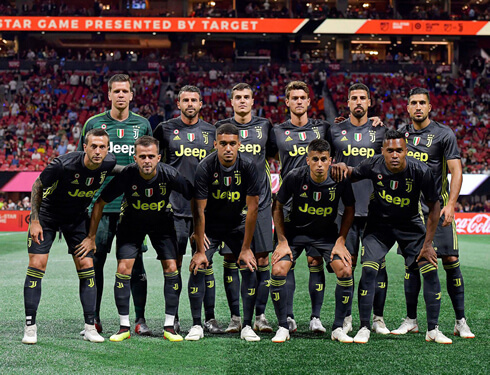 Juventus and an MLS All Stars squad squared off at the Mercedez-Benz Arena in Atlanta this Wednesday evening, but just like in their previous game, the Italian champions struggled to get the better of their opponents in regular time and had to take it to penalties to claim the win. The match ended with a 1-1 scoreline thanks to goals from Andrea Favilli for Juve, and Josef Martínez for the American side. On the penalty shootout, Juventus scored all their 5 attempts, while the MLS All Stars team missed one. The Vecchia Signora will now prepare for their last pre-season game next Saturday, when they face Real Madrid at the FedEx Field. Ronaldo won't be playing yet, as he continues to improve his fitness levels in Turin. This was the 14th time the MLS hosted their own All-Star game to the fans and it was no surprise to see a packed crowd in the stands eagerly waiting to see both teams in action. The city of Atlanta has been witnessing soccer increasing its popularity levels in a drastic way over the past year and a half, especially after Atlanta United FC made their debut in the MLS in 2017. 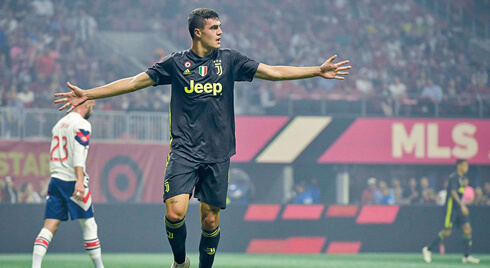 The Italian champions broke the deadlock in the 21st minute of the first half, when a great cross from Matheus Pereira was followed by a perfect header from the young star of the moment, Andrea Favilli. The 21-year old is said to be heading on a loan to Genoa this season, in order for the the youngster to be able to have more playing time than he would have if he was to rotate in Juventus in the months ahead. However and just 5 minutes later, the equalizer threw the game back to square one, as Josef Martinez finished off his chance at the far post, after seeing the ball bouncing near the goal line. The Venezuela international, who played 3 years in one of Juventus's biggest rivals in Italy, Torino, was faster than Alex Sandro attacking the ball and beat Szczesny for the first time on the night. The two teams would cancel each other out in the remaining time of the game and the 1-1 draw held through until the end of regular time. For the second time in a row, Juventus was forced to go into a penalty shootout, which seems to be an area where the Vechia Signora is actually very comfortable at. The Italian champions scored 5 of their 5 attempts at goal, while the MLS All Stars were only able to score 3 out of shots. Next Saturday Juventus is set to complete their last pre-season fixture in the US, as they'll be playing Real Madrid in Maryland. Don't get your hopes up about seeing Ronaldo facing his old team though, since the Portuguese is still training in Italy and won't even travel to the United States to join the squad. Attackers: Bernardeschi, Matheus Pereira, Andrea Favilli. Cristiano Ronaldo next game for Juventus is on August 4 of 2018 against Real Madrid. You can watch Real Madrid vs Juventus, Real Madrid vs AS Roma, PSG vs AS Monaco, Bayern Munich vs Man United, Arsenal vs Lazio, and Girona vs Tottenham, all matches provided from our live football streaming game pages.